Hello. I'm Rory Chasen. I've visited Killer Characters before and I'm glad to be back--sort of. 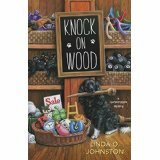 Two books involving me were published previously: Lost Under A Ladder and Knock on Wood. They are Superstition Mysteries. And guess what? I'm now involved in a third Superstition Mystery: Unlucky Charms. It'll be published in October of this year. Okay, I know that things happen in threes--but murders? And my having to jump in to help solve them? Well, this time I have no choice at all. Why? I'm the main murder suspect. You see, I'd been arguing with the victim, Flora Curtival. She's a real estate agent, and I'd been considering renting an apartment with my friend Gemma Grayfield. Flora was more than a little pushy, and I did have some other problems with her, too. But I'd been living long enough in a bed and breakfast-- since I moved to the home of superstitions, Destiny, California--to look for another residence. And poor Destiny. A lot of shops, including the Lucky Dog Boutique that I manage, had been vandalized over the past weeks, so we all were having to deal with that, too. But back to Flora. I'd designed some fun new dog toys involving superstitions, including my favorite: a toy rabbit with a big, lucky rabbit's foot. And wouldn't you know that one of them was found beside Flora's body? Now, if you've read any of the stories about me, you'll know that I'm a superstition agnostic. I came to Destiny to find out the reality of superstitions when my fiancé died after walking under a ladder. I've been here ever since, along with my lucky black and white dog Pluckie. 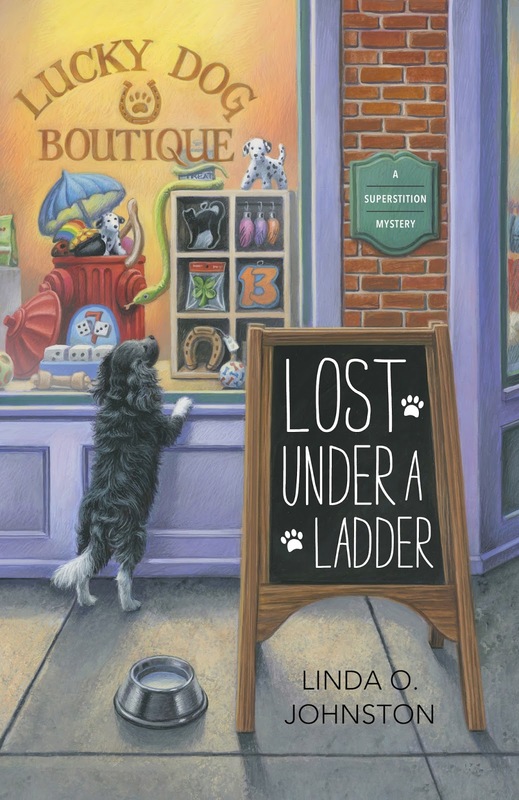 I learned that black and white dogs were lucky once I arrived, when Pluckie saved the life of Martha Jallopia, who owns the pet boutique where I now work. And... well, I've kind of become involved with another man, Police Chief Justin Halbertson. But have I become superstitious? I don't know... not for sure. But I can't just dismiss the possibility that superstitions can come true. And now--well, I only hope that superstitions help me figure out who killed Flora Curtival. My fingers are crossed and I'm knocking on wood that there's a good result here. Because superstition agnostic or not, I'm not a killer. 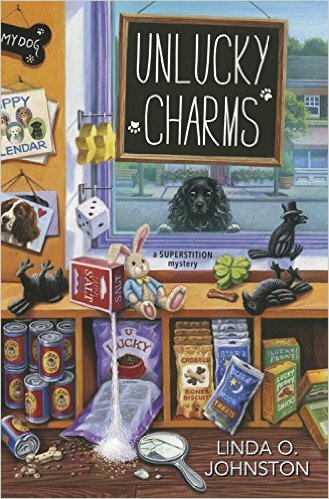 UNLUCKY CHARMS, the third Superstition Mystery by Linda O. Johnston, will be an October 8 release from Midnight Ink and is available for pre-order now. My favorite part of sume is iced tea and long afternoons.